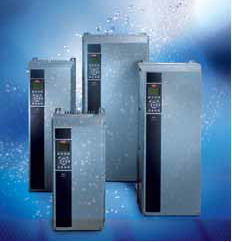 Water and wastewater is a global business for Danfoss Drives. Our unequalled experience makes the VLT AQUA Drive the perfect match for pumps and blowers in water and wastewater systems. With a wide range of powerful standard and optional features designed specifically for water and wastewater applications, the VLT® AQUA Drive provides the lowest overall cost of ownership of any drive available. Extended warranties available (up to 6 years), see Accessories section for more information.